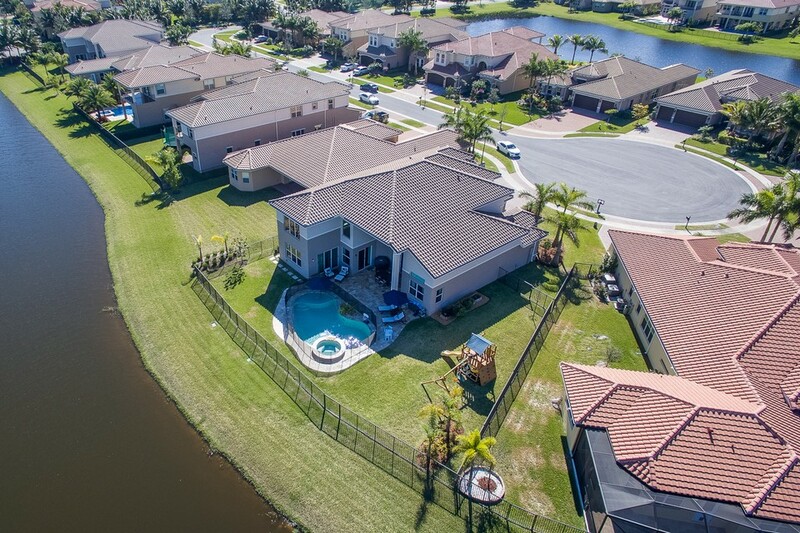 Amazing Waterfront Pool Home on over a 1/4 Acre lot in Canyon Trails. 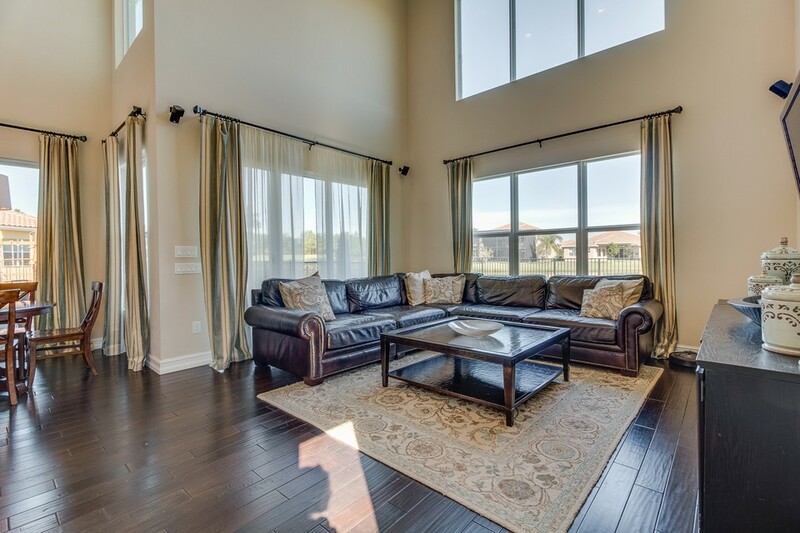 The home has IMPACT GLASS throughout. 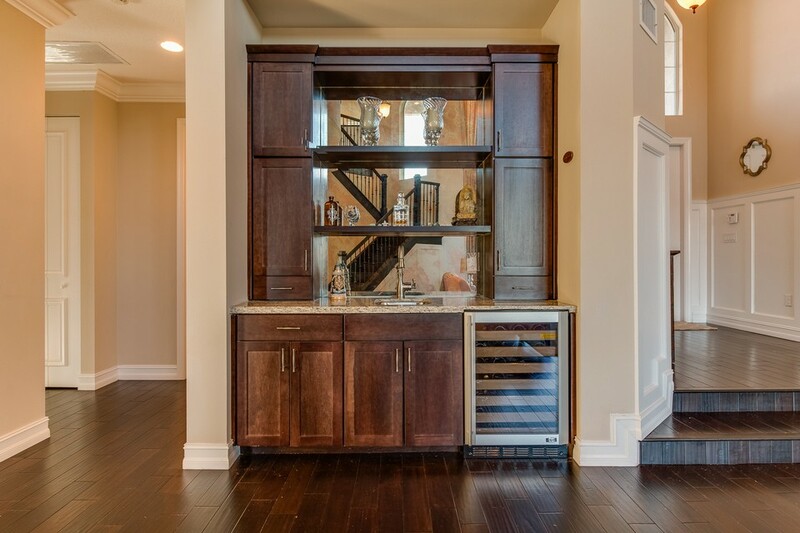 The living room features a built-in wet bar with GE Monogram wine fridge. 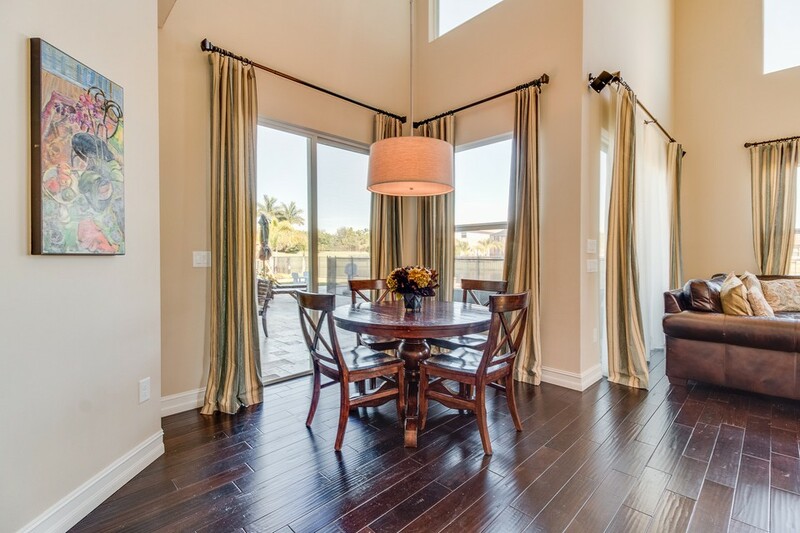 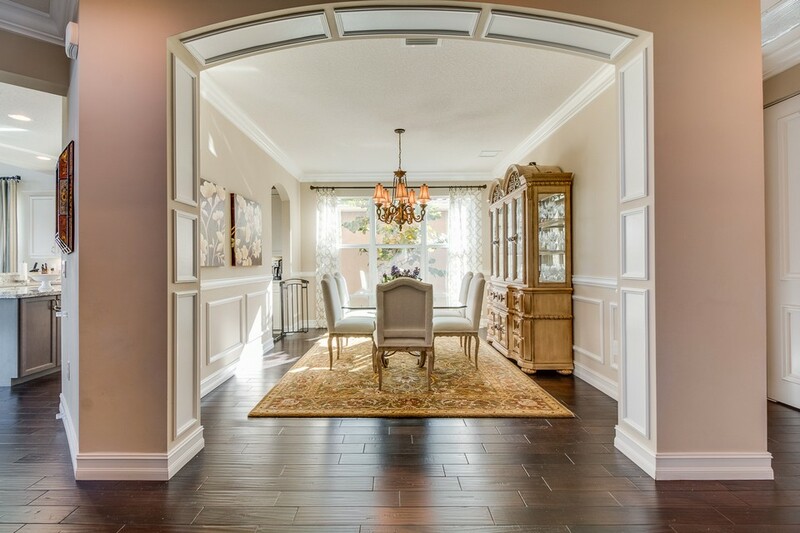 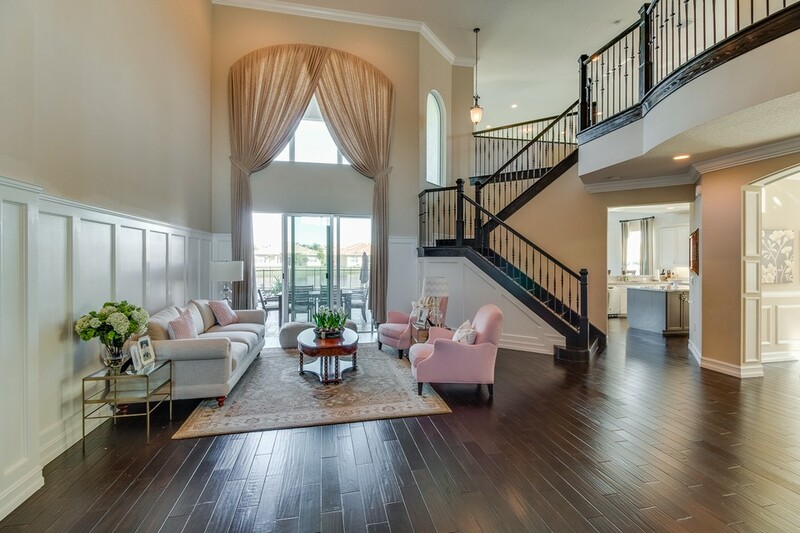 There's stunning Mahogany Hardwood Floors throughout most of the home & solid wood doors. 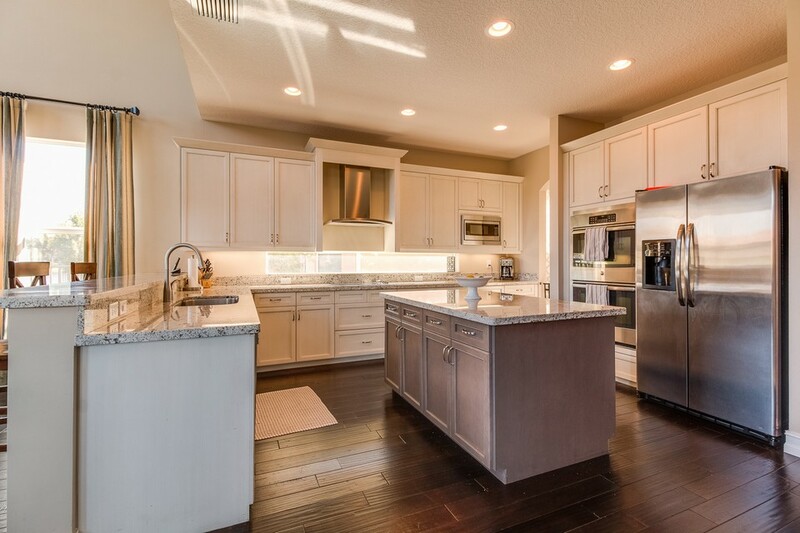 The kitchen is a masterpiece with White Wood cabinets with crown molding, undercabinet lighting, soft close drawers & pull outs as well as gorgeous Granite counters, S.S. appliances & a huge center island. 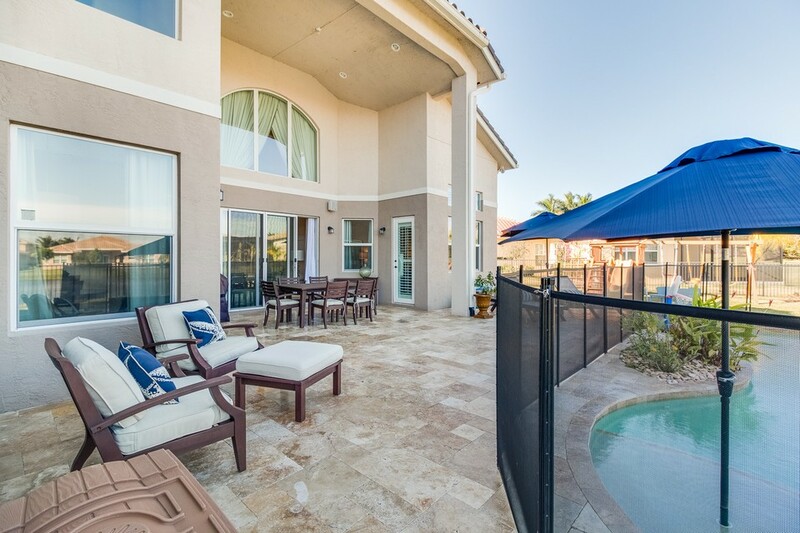 Out back is spectacular with travertine pavers that lead to the stunning pool & hot tub overflow showcasing incredible lake views. 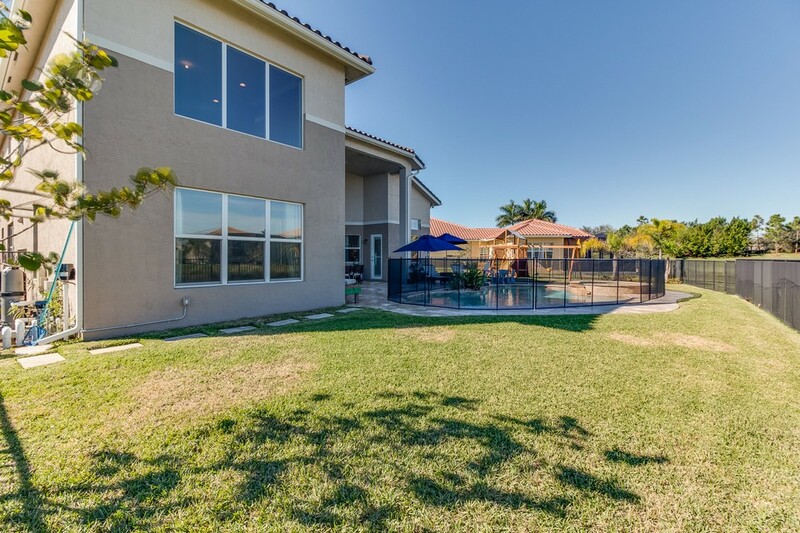 There is also plenty of yard space on this oversized lot as well. 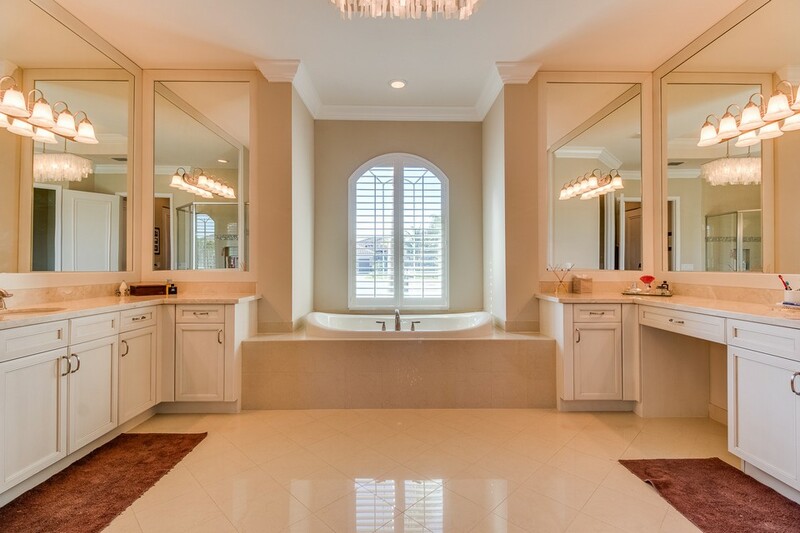 The huge master suite has built-in closets & the luxurious master bath has wood cabinets. 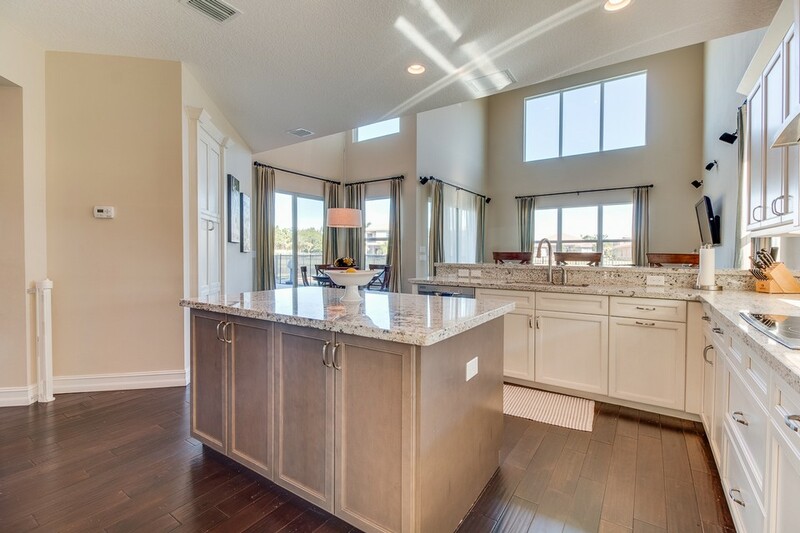 marble counters & upgraded floors. 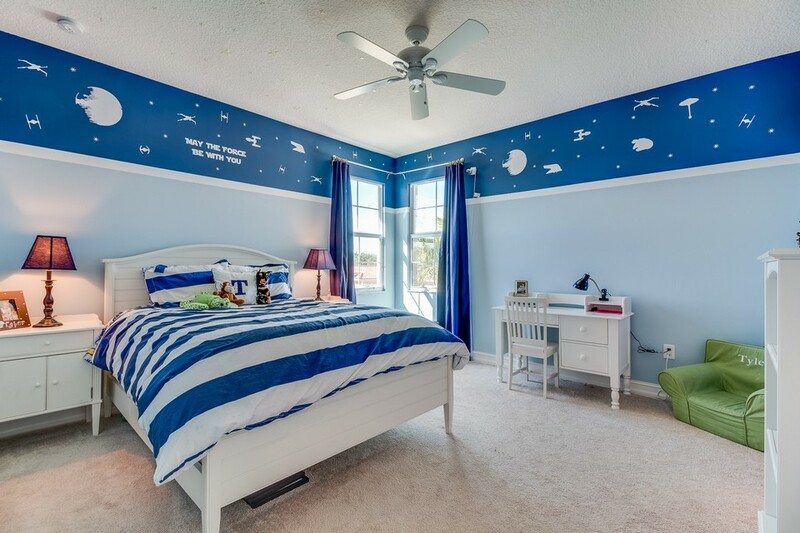 There is a guest room & full bath on the first floor as well. 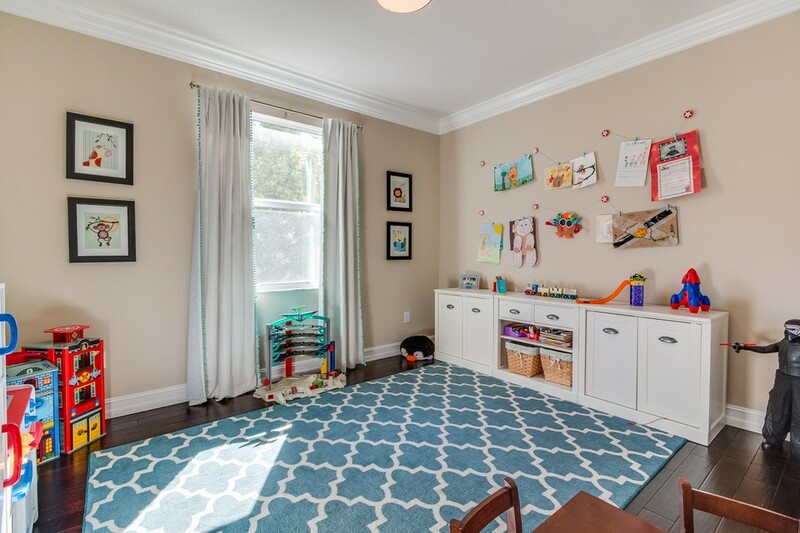 The massive laundry room leads to the 3 car garage with built-in overhead storage. 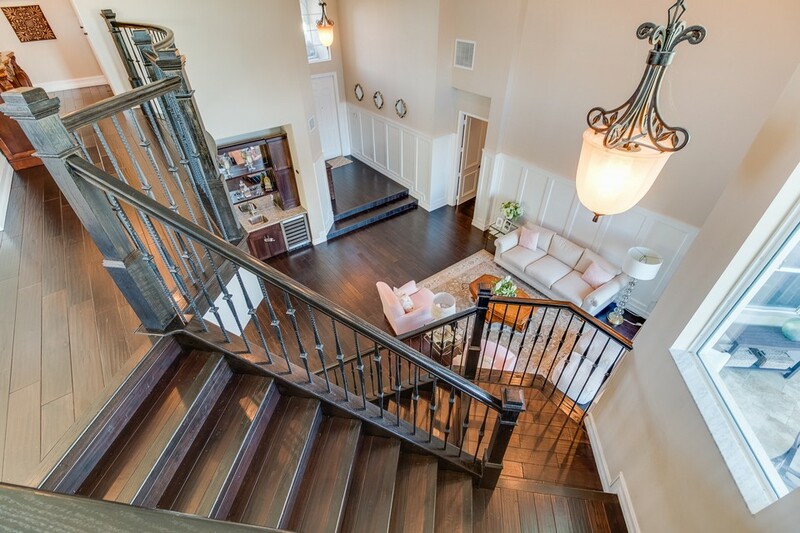 Heading upstairs you will notice the upgraded wrought iron staircase. 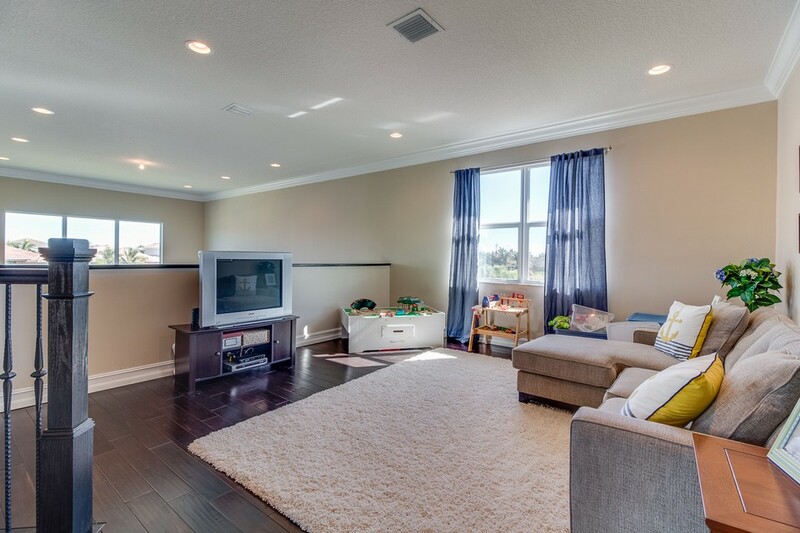 There is a large loft upstairs that makes a perfect playroom or media room. 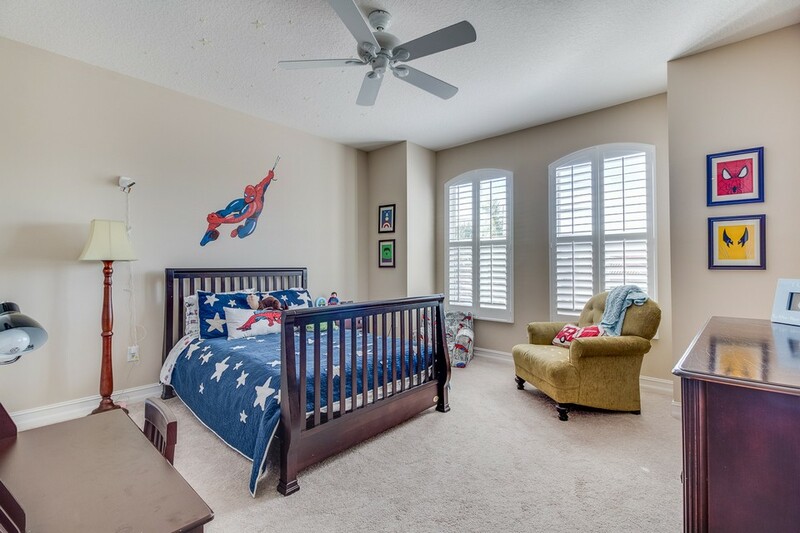 All 3 upstairs guest rooms are large as well. 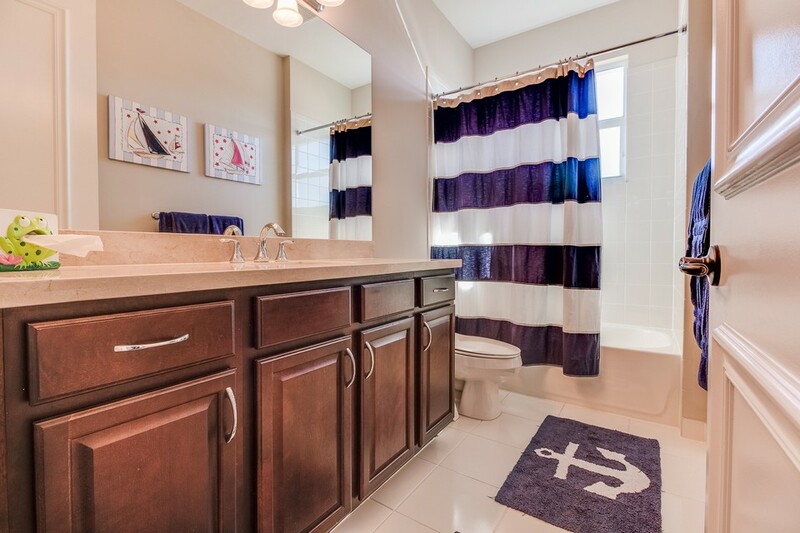 Both upstairs guest bathrooms have wood cabinetry & marble counters. 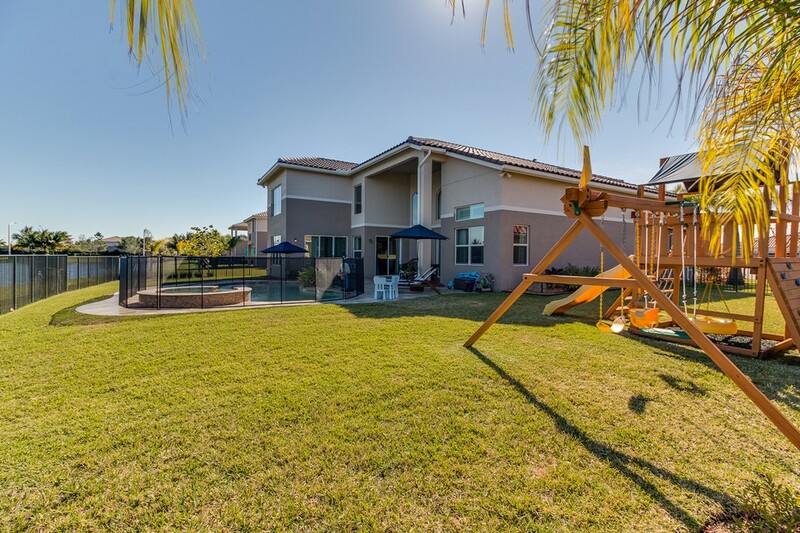 Canyon Trails is an incredible guard gated community with a state of the art amenity filled clubhouse that is all within walking distance to schools & shopping. 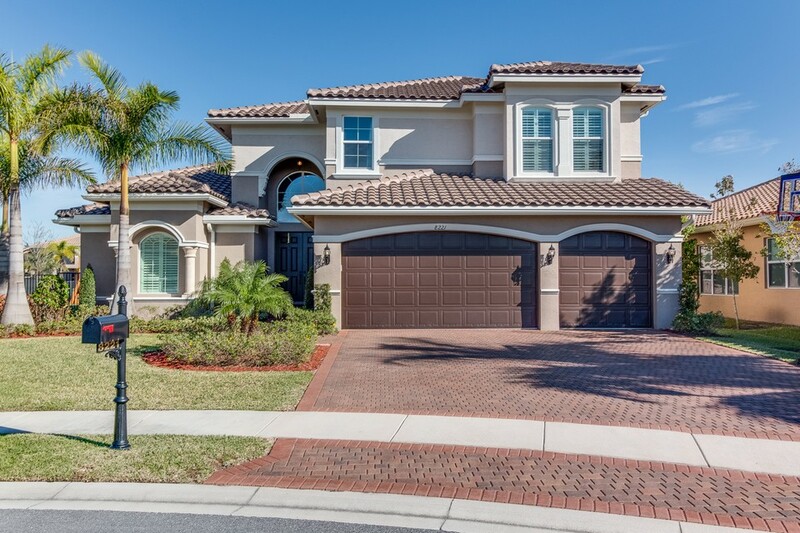 Do not miss this incredible home!